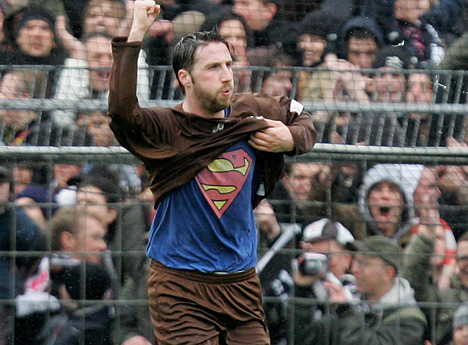 René Schnitzler during his playing days at FC St. Pauli. Posted in Book review and tagged FC St. Pauli, gambling addiction, René Schnitzler, Theo Zwanziger. Bookmark the permalink. Posted in Minor annoyances and tagged Public transport. Bookmark the permalink. Ever since the World Cup of 2006 has Lukas Podolski been one of the stalwarts of the success for the Germany national team. However, with young talents en masse on hand Löw might have to consider leaving Prinz Poldi on the bench in the future. Posted in 1. Fc Cologne. Bookmark the permalink. 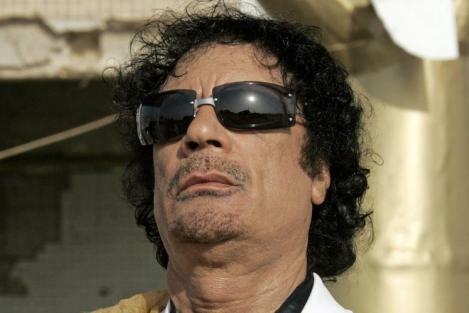 Over the last few weeks Muammar Gaddafi’s face has been all over the papers, news broadcasts and online news sites. While the media has focused on NATO’s bombardment of his country and lavish fees paid to American entertainers, news of Gaddafi’s ties to European football have been marginalized, saving European football clubs another round of embarrassment on the world stage. Artists like Mariah Carey, Beyonce, Usher and 50 cent have been spotlighted because they had received money to perform at one of the private parties that were financed by the Gaddafi family’s money. (Well, if you thought that tyrants and their children had redeeming sides like great taste in art and music you are horribly mistaken). Their fees were paid from monies taken from Libya’s massive oil revenues that has been spread around the entire world on off-shore accounts, at Swiss banks etc. Posted in Anecdotes, Bundesliga history, Football history and tagged Al-Saaid al Gaddafi, Borussia Mönchengladbach, club ownership, dictator, Ewald Lienen, Gaddafi, Juventus, Manchester United, Winfried Schäfer. Bookmark the permalink.